Village of Chateau Ducloux, France. March 30th, 1915 The one person who had been distinctly unsatisfied with the resolution to the relief committee question was Madame Perreau, but she was someone who had a gift for sharing her feelings with others. After a campaign of conversational needling waged every morning and evening over the dining room table -- a sequence of battles whose first casualty was Justin Perreau’s wife, who began to take her meals in the nursery with the children in order avoid her mother-in-law -- Justin at last promised his mother to speak to the commandant. It was at the end of a long day that Justin was ushered into Major Spellmeyer’s office -- what had in peacetime been the mayor’s office -- and stood before the big mahogany desk. Justin’s own office was small, a room once inhabited by the town clerk. The commandant did not look up as Justin was announced by the orderly, and the mayor had time to wonder if the timing of his visit would prejudice his results. Still, it was too late to flee. He planted his feet firmly, overcoming the nervous urge to shift his weight from foot to foot, and tried to focus his mind on the peace that would return to his home once Madame Perreau’s sense of injustice had been relieved. He pulled open a desk drawer and brought out a bottle of cognac. It was not a luxury that was easy to come by. Surely it was a good sign as to the level of respect the commandant had for him that he was willing to share something of which there could be no more supply so long as the war lasted. The Cognac region was on the other side of the lines, and so it was necessary to conserve what bottles were left or develop a taste for German Schnapps, or American Rum or Whiskey. Major Spellmeyer took a pair of tumblers out of the drawer and splashed large portions of the amber liquid into them. Justin was shocked at how generously the major poured. “Thank you, Major.” He accepted the tumbler, which must have held twice as much as a proper cognac glass would have. Nor was it a cheap vintage. Rather than any harsh taste his first sip offered a refined bloom of well aged flavors. The thing had seemed so easy when Justin had rehearsed it in his mind earlier in the day, one man of authority asking another for a little favor. Now he came to it, however, the mayorship his mother’s force of will had won for him from the Germans, a position that he had at for years dreamed of as a fitting proof that he was a worthy holder of the family name, long before the war put it suddenly into his hands, did nothing to increase his sense of dignity and confidence and he stood before this foreigner. He felt more like a schoolboy, standing before the headmaster to ask for some undeserved privilege. 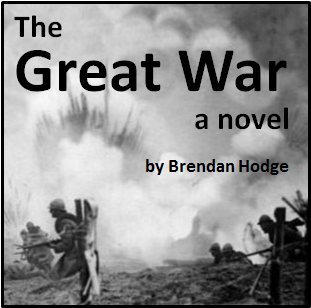 The lids of the commandant’s eyes had become heavy, and he sat with steepled fingers, not responding. Justin wondered if the quickly downed cognac had made of the officer sleepy, but in fact Major Spellmeyer was very much aware. The wordless regard focused on Mayor Perreau was the same attention which many a businessman had faced when trying to renew a loan, and in Spellmeyer’s experience, if such a man had a guilty conscience, the silent gaze would soon make him give himself away by explaining more than he had to. The commandant’s tone was sharp now; he leaned forward in his chair. Justin felt the omission of any title before his name. Now it was Justin’s turn to sit staring without words. The defeat was total. Justin nodded and turned to go. “Wait!” Major Spellmeyer said, getting up from his chair and coming around the desk. Justin stopped but did not reply. “I can’t imagine it will be very comfortable at home for a bit,” the commandant said. “I’m going to host a little gathering tonight. Mostly officers. A friend or two. Some feminine companionship if you know what I mean.” He smiled and winked in a manner worthy of a comic opera. “How about if you join the throng. There’s this contraband cognac to celebrate, and a few other delicacies we relieved the criminal element of as well. Why not?” He clapped a hand onto Justin’s shoulder. It would indeed be a dismal evening at home, the more so when he reported his failure to mother. And yet in the commandant’s invitation he saw, for the first time, with utter clarity how this appointed office of his would be seen afterwards should his own country somehow win the war. He was being invited to join the enemy in enjoying the spoils of war, and the invitation was only being offered because he was already considered practically one of the enemies himself. His fellow citizens would not think kindly of him, indeed already did not. “No, I’m sorry. I must be at home tonight,” he replied. The commandant nodded, hearing from the tone that the refusal was for more than this night. Justin would not again be invited to join what became known as the commandant’s Round Table. But the revel, which became a weekly institution, quickly became a fixture of the week for the occupation forces. Spring had came, with its lengthening days and dreary rain. It was the time for plowing and planting. Nature’s inherent bounty was unchanged by the war, but nature left to herself does not produce the fields of grain, potatoes, beans, turnips, and sugar beets which feed men and livestock. Too many of the men who in peacetime worked the fields were gone -- either lying under wooden crosses on the fields of the autumn’s battles, or manning the French side of the battle lines which stretched from the Swiss border to the Atlantic. If the farms around Chateau Ducloux were to yield up their harvest for the benefit of Frenchmen and occupiers alike, something had to be done. Philomene heard the sound of the front door, but not the usual clatter of Pascal running through the hall. She put down the potato and vegetable brush and dried her hands on her apron as she stepped out of the kitchen. From upstairs she could hear the voices of Charlotte and Lucie Marie playing with their dolls. No one else should be coming or going this time of day. There was a dull thud of Pascal dropping his school satchel on the floor, and her son stepped slowly out of the entry hall, holding a folded piece of paper in his hands. He bent and folded the paper nervously in his hands. Was it a letter from the teacher, or even the principal? Had he got into some kind of trouble? In the fall, when the boys had defaced the door of a teacher they suspected of consorting with the Germans, a German officer had come to the door of every boy in Pascal’s to warn parents of the consequences of further misbehavior. Pascal did not meet her eyes, but looked down at his hands. The sheet was printed, a proclamation rather than a letter. Due to the lack of agricultural workers, all boys aged 10 through 16 are subject to periodic labor requisition effective immediately. Those within that age range will report for spring planting duties from April 5th through April 16th. Work will be supervised by their teachers, and food and lodging will be provided. Boys subject to requisition must report to the town hall on the morning of April 5th in clothes suitable for working and bring no more than one small bag. Failure to report for labor requisition is punishable by a fine of 250 francs or by imprisonment of parents or guardians. Pascal shrugged and looked down at his shoes. His chin had the slight tremble which, a few years before, might have presaged silent tears. Philomene made her own thoughts quiet and put her hands on his shoulders. He was still thin, his frame boyish, and still several inches shorter than she. How could they force a boy so young to leave his home and work in the fields for nearly two weeks? It was wrong and cruel, like everything that came with this war. But she must not frighten or upset him further. After a long sniff, and scrubbing at his nose with the back of a hand, Pascal shook off his mother’s hands and dashed off with his customary energy. There was something reassuring in how easy it was to restore the boy’s spirits, and yet when she looked at the printed notice she still held in her hands, a cold emptiness replaced her stomach. “There’s nothing we can do,” her father said, late that night in the sitting room. “I know.” She had not told him because she expected him to offer a solution. They were trapped in the same position, both parents, both unable to shield their children from the effects of war and occupation. It seemed that similarity should draw them closer together, and yet it was irritation she felt with Louis, for stating the obvious and painful fact. It was more than Philomene could stand, and as soon as politeness would allow she complained that she was tired and went to bed. There, in the darkness, the empty place in bed next to her seemed to cry out as never before. Henri would have understood the particular desperation which had hold of her. She did not want to be told what to do; there was nothing to be done. Her son -- this boy, this small person who had been created inside of her, whom she had nursed and held close and seen gradually yet startlingly turn into a creature that showed unexpected flashes of manhood -- he was to be taken from her and sent to do work in the fields under the eyes of German soldiers carrying guns. Who knew what sort of other boys he would be thrown in with. “All boys aged 10 through 16” the notice had said. Surely that meant not only the boys from the school but the boys who lived in workers shanties down by the lime pits and the cement factory. What would they be talking about at night? What would they teach her son? And yet there was no way to protest, no course of action. The event was as unexpected and as inevitable as a cancer: one day everything normal, the next “Madame, I regret that I have some very serious news to give you,” and from there the creeping inevitability, no cure, no treatment. But no. The cancer, the cruel inevitability which possessed the whole world, had him in its grips too. Henri had been taken to serve with the army. Now Pascal had to serve in this labor requisition. What else before it was all over? It was in the small hours of the morning before she was able to fall asleep that night, and the question, the fear, the helplessness continued to gnaw away like a tumor, with her always, until the following Monday when Pascal left the house early wearing an old set of clothes and a cast off overcoat of Grandpere’s. In his bag were two changes of clothing and also a loaf of bread in case they did not give him enough food. Philomene kissed him and held him close for a moment, but felt him tensing with embarrassment that his mother was making a scene on the doorstep. And then he was walking away down the grey morning street. Her only son, going to work under the eyes of the enemy. Louis put a hand on her shoulder and told her that it would be alright, but she shook the touch away and went to the kitchen where she could be alone with the yawning despair of helplessness. She tried to pray, but words did not come. Nor did tears. Before the morning was over she had scoured and polished every pot in the cupboards, and her hands were cracked and bleeding with the unaccustomed work. There was pushing and words exchanged as the boys moved through the line to get their dinner, a stew seemingly made from all the leavings of a cellar: potatoes, beans, carrots, turnips, and here and there small fragments of the salt pork which gave it flavor. Whatever its failures in taste, there was a great deal of it in the pot, and the farmwife in whose fields the boys had worked the day ladled it into Pascal’s tin bowl until it was full. His back ached. His shoulders ached. The heat of the tin bowl reached through and seared his hands on the two spots where blisters had popped and left tender raw skin exposed. Pascal found a spot to sit away from the others and balanced the bowl on his lap. That morning, in the square in front of the town hall, German NCOs had divided the boys into working parties. He had been standing with Lucien and the other boys from his class, with the result that when they were asked to count off they had all been assigned to different groups. There were ten boys in his work party, of which the three he recognized from school were all at least two years older. The boys his own age were poorly dressed: peasants or children of the workers from the cement factory, many of whom went to the smaller school near the worker settlement outside of town and stopped going at all when they reached the age of thirteen and were no longer required to go by law. He had wanted to retort, but the thought of Pere Lebas and the wooden box of a confessional held him back from directly saying what was not true. Saying that his father didn’t smoke cigarettes and letting them think this meant Pascal was used to a pipe or cigar was something he could excuse to himself, but there was too much training against untruth for him to lie so directly over a matter of mere prestige. Instead he had turned away and throughout the rest of the day he had kept mostly to himself, as he did now over his dinner. A commotion drew Pascal’s attention back to the other boys. The bigger boy, who significantly outweighed his opponent, absorbed another shove, then drew back suddenly as Denis was trying to push him again. Off balance, Denis lurched forward, and the bigger boy grabbed him while still off balance and threw him to the ground. With a yell of wordless rage Denis launched himself from the ground and flew at the other boy. This was not like the schoolyard fights Pascal had seen and occasionally joined in, administered by an honor code according to rules gleaned from tales of heroic prize fighters in the boys magazines that were passed around at lunch. Denis attacked with the ferocity of a brawling cat, punching, kicking, hair pulling, biting, his fingers trying to tear at nose and eyes. The older boy was briefly driven back, then doubled the smaller boy over with a punch to the gut, kicked his feet out from under him, and dropped bodily onto him, bringing his weight to bear while raining punches on the boy’s ribs with his free hand. Even without knowing the origin of the argument, Pascal felt strongly the urge to help Denis. What cause could be more just than defending a mother’s honor? He started to put his bowl aside, but already the two German soldiers who had been their supervisors during the day were rushing in, shouting in their own guttural language and pulling the struggling boys apart. The NCO gathered all the boys together and delivered a collective scolding, though it fell on even more deaf ears than the instructions of an occupier might anyway because after saying with careful emphasis, “This fighting is forbidden. I will not allow it,” he lapsed into rapid German in order to express himself at more length. Afterwards the boys were given five minutes to finish their dinner in silence before being sent to bed, which in this case meant the hayloft in the barn. Outside the sun was setting, and little enough light filtered into the barn through the wooden planks of the walls, but no lantern was allowed inside due to the risk of fire. The boys climbed the ladder to the hayloft in semi-darkness and clambered around to find places of relative comfort. While looking for a place to sleep, Pascal came upon Denis. The small, dark boy had been making a noise very like crying, but he immediately stopped as Pascal rustled through the hay towards him. Denis glared at him. Even in the dim light he could see that he had several cuts on his face and puffy bruises still forming. “That was brave the way you protected your mother’s honor,” Pascal said. Denis gave something between a snort and growl and turned away. Pascal hesitated. He wanted to say that he would have helped if the Germans had not rushed in so quickly, but claiming credit for such a non-action seemed empty. “I’m sure she’d be proud,” he offered instead. What had seemed a simple chance to express solidarity with a boy who had fought for his family’s honor had proved to be more murky waters. “I’m sorry.” The words felt hollow. Silence drew out for a moment. Should he leave? It was uncomfortable to stay where another’s pain was so clearly exposed. And yet would leaving itself be cowardly? He remained. In the dimness of the hayloft the sounds of movement and talking began to die down. Despite the early hour, exhaustion after the day’s work was taking its toll. Pascal lay on top of the old overcoat of Grandpere’s which provided some protection from the prickles of the hay. The smell which the hay gave off -- half summer field, half dusty room -- was comforting. “Does your family have Germans quartered with you?” Denis asked from the darkness. Pascal could think of nothing to say, and perhaps in the quiet darkness Denis was no so much talking to him as confessing what he could not normally say to anyone. So much that is wrenching in this section. The boys taken from their mothers and thrown together in a sort of Lord of the Flies scenario with only German soldiers to act as adult authority. Philomene's anguish as she cleans the whole night imagining all the terrible things that could happen and her helplessness to protect her son. And that final scene between Denis and Pascal.